The reality programmers at DangerTainment (Rhymes, Banks) have selected Rudy (Sean Patrick Thomas Save the Last Dance), Bill (Thomas Ian Nicholas American Pie 1 & 2) and a group of thrill seeking teenagers to spend one fun filled night in the childhood home of serial killer Michael Meyers But the planned live broadcast turns deadly when their evening of excitement becomes a night of horror as Michael himself decides to crash the party. Download Halloween: Resurrection in Digital HD from the iTunes store. 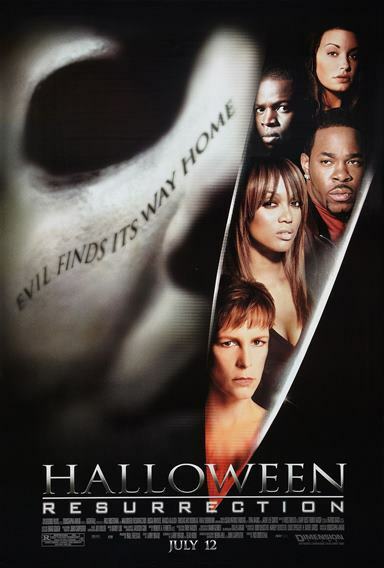 Halloween: Resurrection images are © Dimension FIlms. All Rights Reserved.